It has been a week since I returned from my trip to Minneapolis to support the Black Lives Matter crew there & my UU sister Lena. 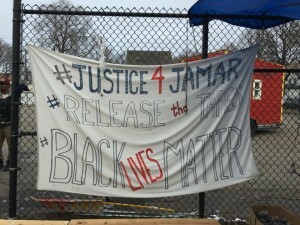 If you were unaware, the #4thPrecinctShutdown began when #JamarClark a 24-year old black man was killed by police a block away from the 4th Precinct. Eyewitness accounts of the shooting differ WIDELY from the police issued narrative and what began as a Black Lives Matter-Minneapolis occupation of the vestibule of the Precinct became a 19-day (!) community encampment outside of the station. 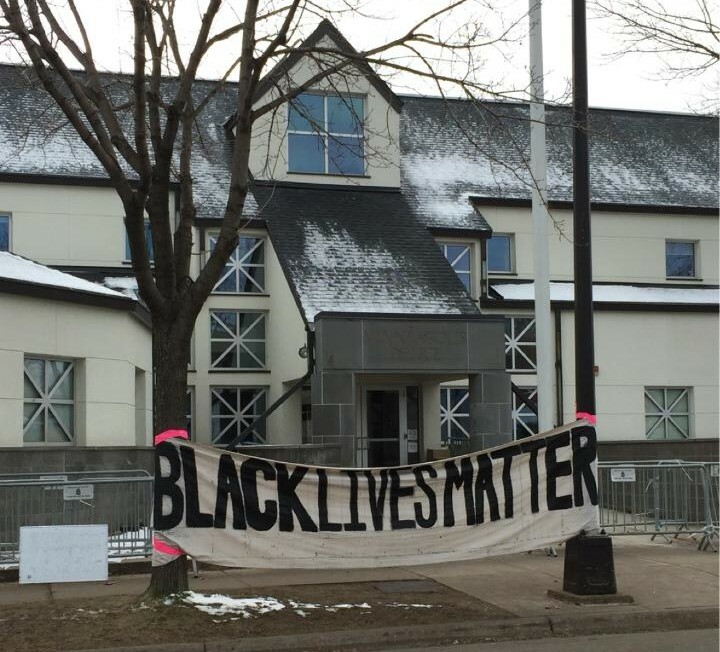 In the wake of the shooting of 5 Black #4thPrecinctShutdown protesters by White Supremacists a call was made for support on the ground in Minneapolis. And even though I was still in Cleveland completing the #YearWithoutTamir actions when the call went out – I felt moved to answer. I spent 2 days at home mostly doing laundry & cooking Thanksgiving dinner & then headed to Minneapolis. Folks ask me all the time “But what do you DO?” when I say going to a city. MANY people answered MY call for financial help with this trip & I wanted them to know what good their support did. The story of the #4thPrecinctShutdown is something that needs as much documentation as possible – it was & is THAT amazing. 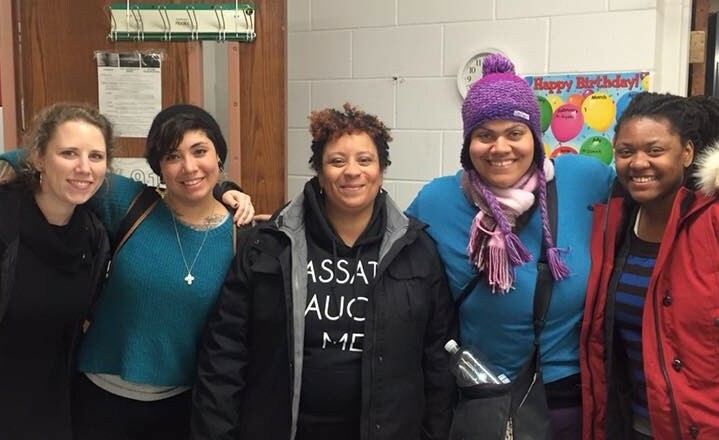 I arrived in Minneapolis on a very cold Black Friday night – Lena one of the leaders of BLM-Mpls picked me up at the airport along with a few other folks who arrived to support the team. 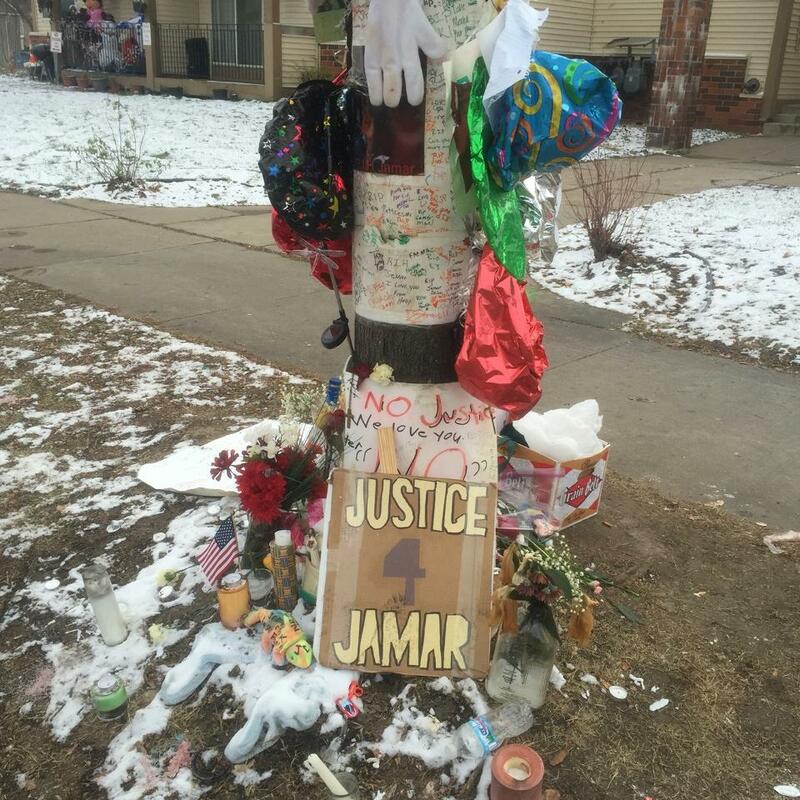 We immediately went to the #4thPrecinctShutdown site. I didn’t really have an expectation of what I would see, but I was surprised to see a full on encampment, with a soup kitchen, headquarters, press tent, bonfires (it was 19 degrees that night) and more than that a COMMUNITY connecting outside a police station. I noticed many other things – the police lights bright as the sun on the side of the building, the clearly homeless folks taking refuge in the space created by this shutdown, the circle of people sharing their hopes & feelings about this process. Lena was the person who called me to Mpls, so my first job was to simply ask her what she & the team needed. I sat in on core team meetings & offered my services in anyway I could. The Direct Action Training Crew! I created social media images & FB event page notices. I helped run a Direct Action training with several other folks who were from out of town. I assisted in planning a full day clergy & citizen led occupation of Minneapolis City Hall in the #Taleof2Cities action.